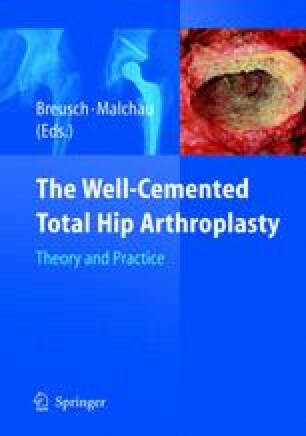 The Swedish Total Hip Arthroplasty (THA) Register was initiated in 1979. The primary reason was to document failures and the need for revision surgery to improve and redefine the primary indication, surgical technique and implant choice. The hypothesis is that feedback of data stimulates participating clinics to reflect and improve their health care accordingly. In addition to revision, which has been used as end-point definition to date, patient based outcome measures and radiographic results will be included in the future to improve sensitivity. The national average 7-year survival (revision as end-point), has improved from 93.5% (±0.15) to 95.8 (±0.15) between the two periods 1979–1991 and 1992–2003.The Swedish results are based on more than 90%, all cemented THA. National implant registers define the epidemiology of primary and revision surgery. In conjunction with individual, subjective, patient data and radiography they contribute to the development of evidence-based THA surgery.